A ton of new Overwatch Funko Pop! toys are coming soon. Funko posted an update outlining its next line of Overwatch products today on its blog. Funko Pop! keychains and new Pop! toys will be released this fall. Mercy, Soldier: 76, Winston, Pharah, D.Va, Sombra, and Lúcio will all be available as tiny keychain figures. The Mercy figure is available now, but the others will be released in the fall, according to Funko. The Funko Pop! keycahins usually stand less than two inches tall and cost about $3 each. Funko hasn’t confirmed pricing or size details for its new Overwatch keychains. As for the Overwatch heroes joining Funko’s Pop! line of figures, they’ll be added in the fall. 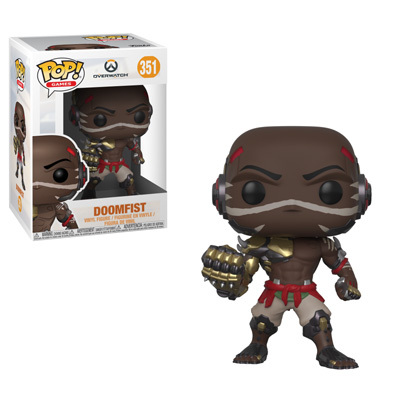 Genji, Doomfist, Hanzo, Torbjörn, Orisa, and Ana are all getting the Pop! treatment. Orisa is one of the supersized, six inch figures. The rest of the group are standard size, which typically lands around four inches tall. The regular series costs around $10, while the supersized toys often cost $15. Funko is also launching a few exclusive skin versions for Orisa, Genji, Torbjörn, and Ana. Molten Core Torbjörn will be available at Best Buy, Carbon Fiber Genji at Target, Shrike Ana on Amazon, and OR-15 Orisa at GameStop. Overwatch’s toy options continue to grow. If Funko Pop! figures aren’t your thing, Good Smile Company offers its Nendoroid line of cute characters and its Figma action figures.